Selfie Ring Light + Tripod + Bluetooth Remote for Live Stream/Makeup, Mini Led Camera Ringlight for YouTube Video/Photography Compatible with iPhone Xs Max XR 8 7 Plus X Android. Dimmable Ring Light meets all your needs in different circumstances. Selfie Tripod Stand for your convenience. The tripod stand itself can be used as a selfie stick and phone tripod. 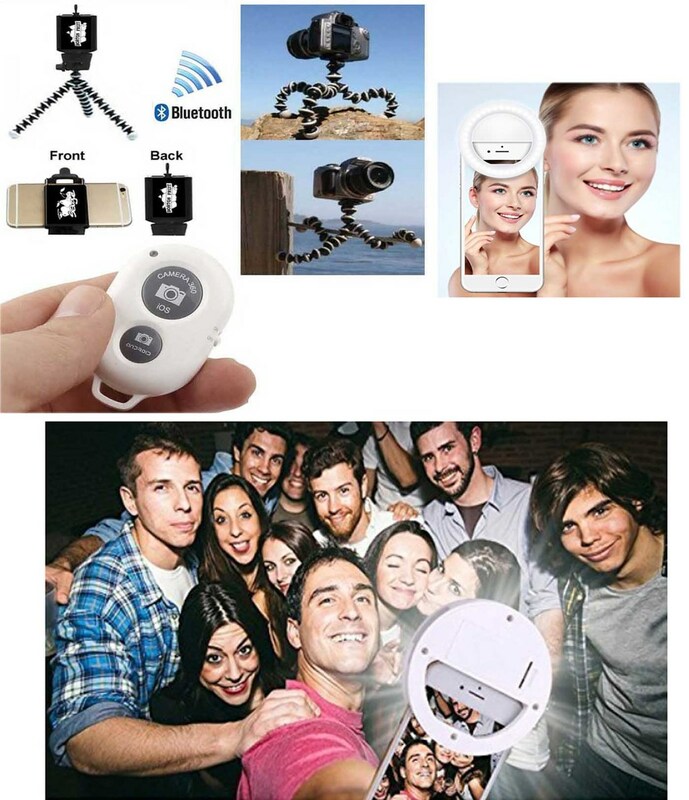 2-in-1 design combines the phone holder and selfie ring light together, it is a tool for creating live videos/recording with a smartphone or computer. Perfect extra light for make-up, live streaming, selfie photos, video recording, online teaching, dark scenery vlogging etc. Universal Phone Holder Compatible with almost ALL smartphones. Suitable for iPhone X/7 Plus, 7, 8, 8 Plus, X, 6, 6s, 5, 5s, 4, 4s/Samsung Note 8, S8/S9/LG/HTC. 360 degree rotatable, adjustable viewing whether it may be horizontal, vertical, or any angle. USB Powered. Works with most devices that support USB port, like the laptop, PC, power bank, USB charger and etc.